Curtain Rods put the finishing touch on your window treatments and create your unique desired look. Bright brass adds a touch of elegance. Brushed Nickel & Stainless Steel looks sleek & modern. Wood tones add warmth. The right window treatments and hardware soften a room, create dramatic focal points and add texture to a space. Express your personal style! It's important that when choosing an adjustable rod, pick the longest rod so you don’t have to fully extend it to span the window. This provides the critical support to minimize rod sagging. Double curtain rods feature two sets of rods to frame the window. The outer rod is to hang heavy drapes. The inner rod is designed to hold light sheer. Finials are ornamental pieces added to the ends of curtain rods. 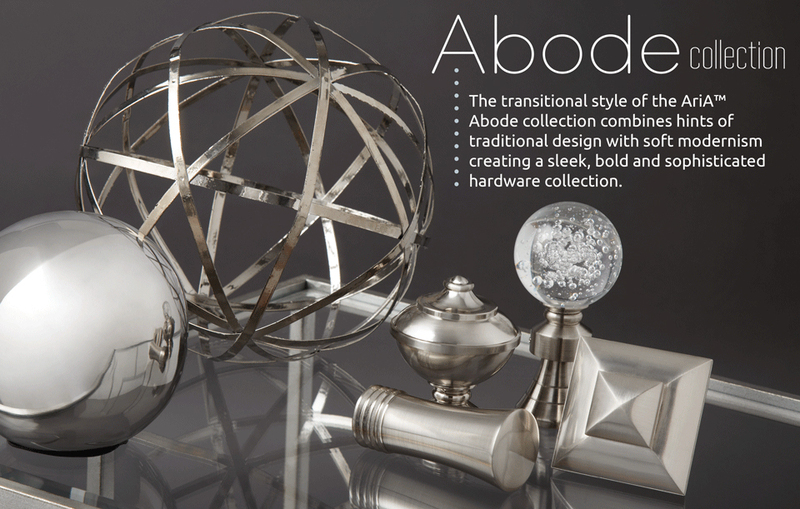 Commonly made from wood, metal or glass, finials add a decorative touch to the window treatment. 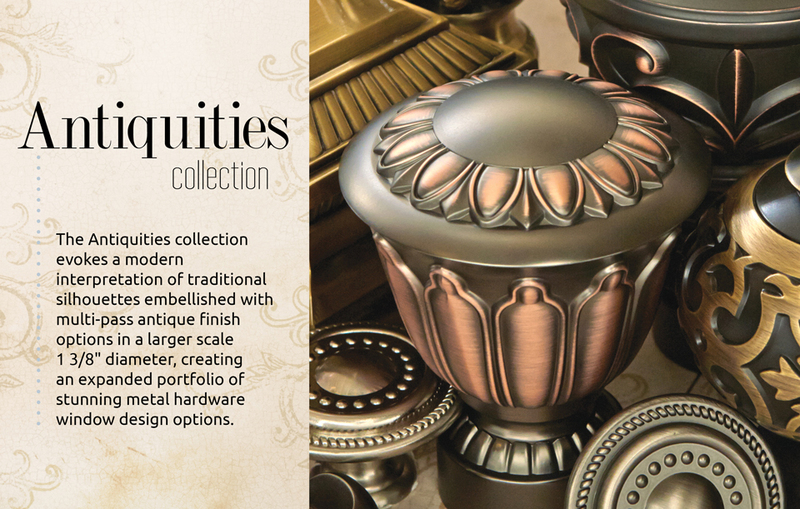 With stunning designs & finishes, the high end qualiity Metal Collection will immerse you in timeless antique beautify or modern, sleek elegance. If you have grand space, the 1 3/8" diameter XL pole will fill your mansion and loft with impressive details & luxury feel. The 1 1/8" pole diameter and its coordinating finials, rings, tie backs... will charm you with its unique exquisite beauty.